Why does the official Bird-a-thon checklist change over time? Bird names are not set in stone. Just ask the Rock Pigeon (formerly the Rock Dove). Depending on your birding experience, you may recognize other examples of species name changes: Thayer’s Gull to Iceland Gull, Rufous-sided Towhee to Eastern Towhee, and Northern Oriole to Baltimore Oriole. Some names change once, only to change again. For instance, the Black Scoter was formerly the Common Scoter, and the American Scoter before that. Perhaps the most complicated name changes come from the splitting of one species into two or three different species. Traill’s Flycatcher, for example, became Willow Flycatcher and Alder Flycatcher. Just to make sure everyone is thoroughly confused, the ordering of species on avian lists is fluid as well: falcons used to be found with the hawks before they were evicted from the group, and Snow Buntings, which were once found near the finches, are now cozied up with the warblers. While these changes may seem arbitrary or like part of a nefarious arrangement between field guide publishers and the ornithological establishment, neither is the case. There are science-based reasons for periodic changes in bird names and in the ordering of species on avian checklists. Until the 1990s, birds were grouped and classified solely by the way they looked and behaved. Today, it is the genetic makeup, or genome, of a species that is considered more important in determining its origins and its relationship to other living birds. As genetic relationships become more fully understood, it sometimes turns out that two different-looking “species” are not genetically distinct, or that populations of another “species” are in fact distantly related. These revisions to bird classification are the most common reason for renaming. 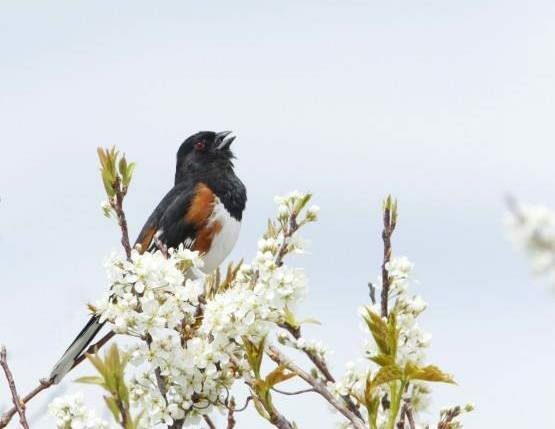 For instance, genetic (and other) research has determined that Eastern Towhees and Spotted Towhees represent a distinct pair of species, while the Solitary Vireo has actually been proven to represent three species masquerading as one (Blue-headed Vireo, Plumbeous Vireo, and Cassin’s Vireo)! Maintaining these changes is the responsibility of The American Ornithologists’ Union Committee on Classification and Nomenclature. The ornithologists comprising this checklist committee (the NACC) keep abreast of the classification and distribution of all the birds in North and Middle America in order to created standardized classification and nomenclature. The NACC regularly produces supplemental changes to the latest edition of the Check-list of North American Birds. These are responsible for the periodic name and sequence changes Bird-a-thon birders will see on the event’s official checklist. Thank you to our Bird-a-thon sponsors! ARE Demo & Excavation, Inc. This entry was posted in Birds and Birding, History and tagged bird-a-thon, Nomenclature on April 24, 2018 by Wayne Petersen. May might seem like a long way off, but the Conservation Science department is already planning our team’s strategy for bird-a-thon. We’re also trying to build as big a team as possible for fundraising and birding, so consider joining us! You can join us as a “Bird-a-thon booster” and help fundraise, or join as an official birder by emailing our team captain Margo. 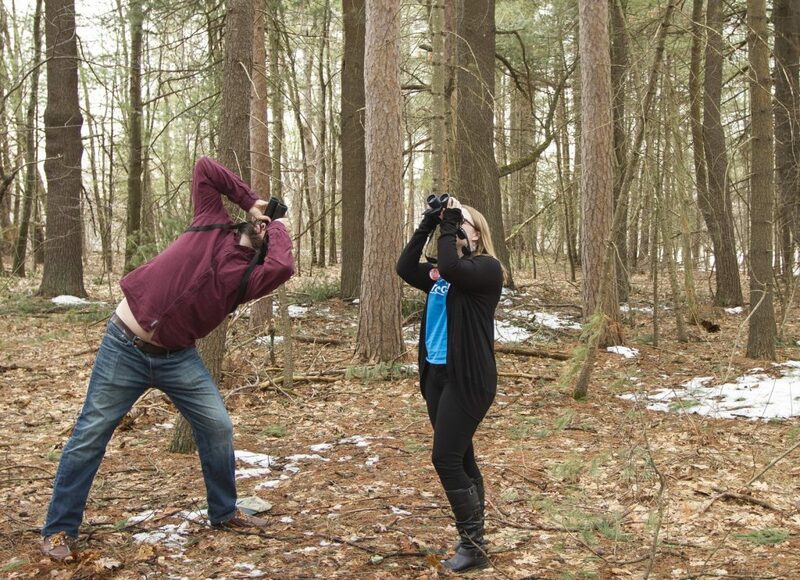 Bird-a-thon is not only a fun birding event, but also a huge help to Mass Audubon. Our team uses donations from Bird-a-thon to support our conservation programs, like Foresters for the Birds and the Bobolink Project. Last year, we tied for second place in the Hatheway Cup for most money raised— help us win it this year! A subgroup of our team will also attempt a big day on the 11th, and try to beat our team’s species total from last year. Some of us get very serious about the competitive aspect of Bird-a-thon, much to everyone else’s amusement. Have you ever wanted to watch our program assistant Will try to hold it together after an all-nighter? Is Jeff, the woodland bird conservationist, willing to belly-crawl through tidal mud to glimpse a Least Bittern? Does lead ornithologist Jon Atwood get hangry if he misses a meal over a last-minute Wilson’s Warbler chase? Of course, other participants are not obliged to go all-out, as some of us do—you can bird at your own pace, or join for just a few hours of the day! Last year, the Conservation Science team recorded 179 species. Come out and see if you can help us beat our total. This entry was posted in Birds and Birding, Events and tagged bird-a-thon, competitive birdwatching, fundraising on April 10, 2018 by William Freedberg. What is it like to participate in Bird-a-thon? Posted on March 15, 2017 by Margo S.
“My team is up by 3:30 a.m. to gather well before dawn at the Bolton Flats Wildlife Management Area in Worcester County. The mist lurks around the cat-tails and willows. The Eastern Phoebe’s ‘vree-bee’ call rings out in the near distance (check! ), and then the ‘oonk-a-dunk’ of the endangered American Bittern crouching somewhere out there in the wetness signals that it was time for another (check!) and that it is going to be a great day in the field. Then suddenly a Sandhill Crane floats by. Is he mistaking the Worcester County wetlands for Nebraska? Big (check!). Bird-a-thon is in full swing! Behind us, a Scarlet Tanager let loose with his robin-with-a-sore-throat imitation. (Check!) At this rate our palms will be smarting from all the high-fiving before sunrise. Over at the sandy end of the Flats, another endangered fellow greets us from the heights of his very own 3-foot shrub sticking out of the sandy soil: a Grasshopper Sparrow, sounding very much like a grasshopper that just touched a high-voltage wire. With about 40 check marks on our list, we obey the law of diminishing marginal returns and split for new territory. Next stop is Wachusett Mountain, where our ascent is rewarded with not only a good number of (checks!) but amazing numbers of Ovenbirds (teacher-Teacher-TEACHER! ), Scarlet Tanagers, and Black-and-White (te-tsee te-Tsee-Te-TSEE) and Black-throated Green Warblers vocally squabbling over territory. The (non-check!) bonus is the sighting of a few remaining snow patches. Really good ‘gets’ here are the Yellow-bellied Sapsucker and Winter Wren. The last of the Dark-eyed Juncos has favored us with a delayed trip north just so we could be the team who gets to count him. Nice. 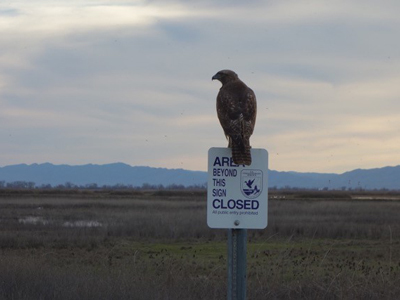 Join the Bird Conservation team as either a Booster or an Official Birder! This entry was posted in Birds and Birding, Events and tagged bird-a-thon, birding, birds on March 15, 2017 by Margo S..